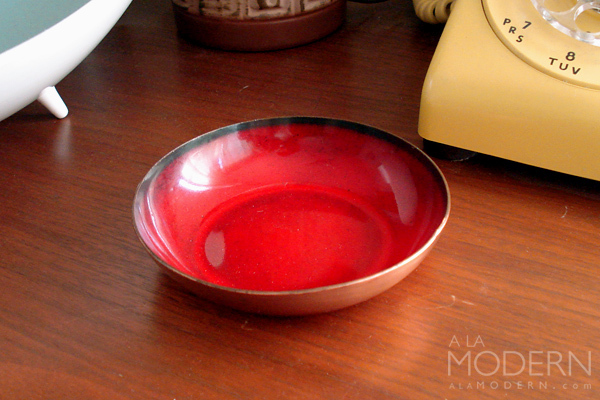 Fantastic signed red enamel bowl by Jade Snow Wong. She was an influential enamelist, potter and author who worked in San Francisco. Her book, Fifth Chinese Daughter, became a classic Asian American work of literature. Several other enamelists and designers worked with her at one point, including Win Ng of Taylor & Ng. 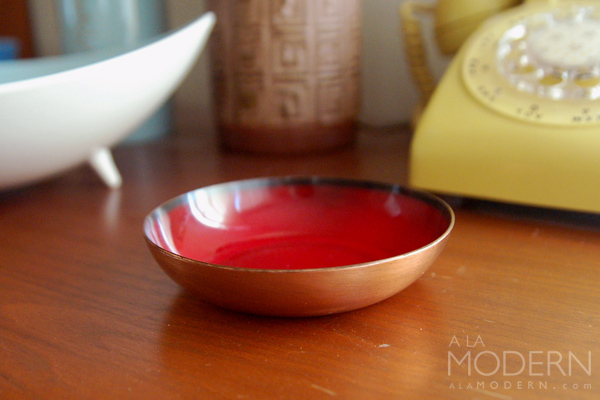 This is a very small bowl or pin dish with a simple deep red glaze with black accents around the rim on a plain copper base. Much of her work features simple but elegant decoration like on this particular piece. 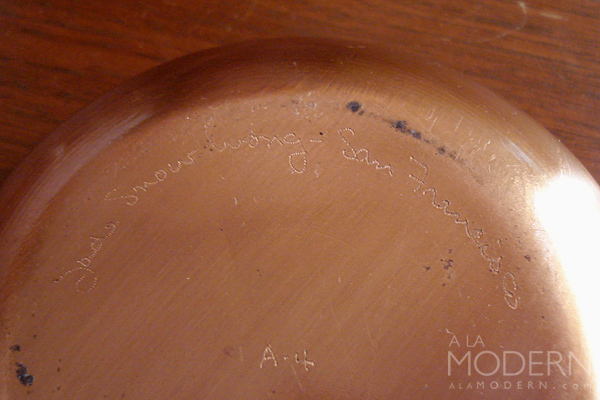 Inscribed on the back with "Jade Snow Wong - San Francisco A-4". In good vintage condition with one small dent and a 1/4" chip to the enamel on the rim - please see the 3rd photo. 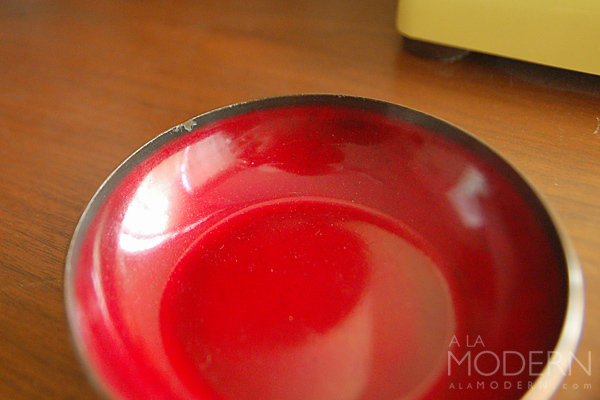 The chip is actually hard to spot due to the black color on the enamel rim. 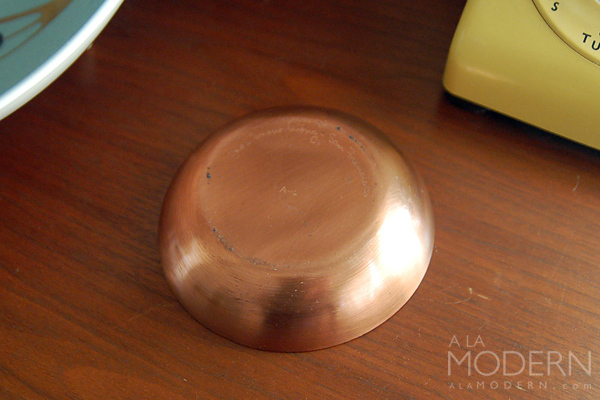 Some scuffing to the exterior bottom of bowl. We have reduced the price a bit because of the condition. Bowl measures about 4" across.